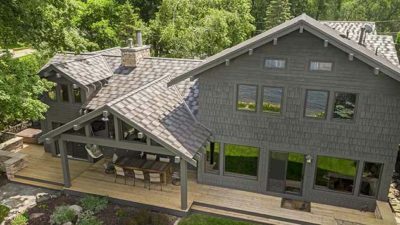 More homeowners are choosing metal roofs to protect their largest investment: their home. It’s no wonder why. Today’s metal roofs feature all the style and beauty of traditional roofing materials, yet they are stronger and more durable. These roofs give homeowners the look they want along with the protection they need. You can choose from numerous colors and designs to create any look you want, such as asphalt, clay tile or cedar shake. And the best part is metal roofs last 50+ years and reduce the time, money and effort spent on ongoing maintenance. That also makes them a great value. Extreme climate conditions took their toll on homeowners across the country this year. 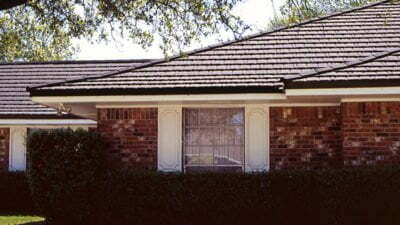 In severe weather, roofs are often hit the hardest. Quality metal roofs are made to withstand hurricane-force winds, snow, rain, and hail storms, and are even Class A rated for fire resistance. Metal roofing is a big part of making your home more resilient against Mother Nature’s fury. You can learn more by downloading Metal Roofing Alliance’s free Resiliency Housing Guide, full of great ideas to better protect your home. 1) Not all metal roofing is equal. Be sure your metal roofing comes from a reliable source. While it can be tempting to save some money in the short term with a lower installation or materials, you could be looking at more trouble with repairs and inferior products in the long term. 2) Know your roofer. Choose an installer who is properly trained and uses quality material from a reputable manufacturer. Find out how long your installer has been in business and if they are a member of industry-leading trade organizations like the Metal Roofing Alliance. Plus, like all Hire-It-Done home projects, make sure your roofer is properly licensed and insured, and get referrals from previous customers. 3) Ask questions. Do your homework. You want to know where the material is manufactured, what type of metal it is and what protective coatings it has. Also, be sure to get all the details on the warranties and how long the product is guaranteed to last. With metal roofing, it’s a good idea to request the highest-rated, longest-lasting material designed to fit within your budget. You always want to do your own research on whatever product your installer suggests to verify you want it for your home. Today’s metal roofs are a great fit for any home and neighborhood and can fit a variety of budgets. Learn more about how metal roofs can add maximum curb appeal and protect your home by visiting www.metalroofing.com. Great information; never knew metal roofing was so attractive! I will research further in my area. Could you help me locate a concrete stucco company in New York/Nj areas? I don’t know what to look for or know how to describe precisely who I am looking to restucco a beautiful original 1900 3 story colonisl house. Please help me to understand what question to ask in order to find the right company. I do not want the smooth stucco or concrete as it chanes the character of the house. Thanks for sharing your experience with the TodaysHomeowner.com community, James! I really like your article on metal roofs. 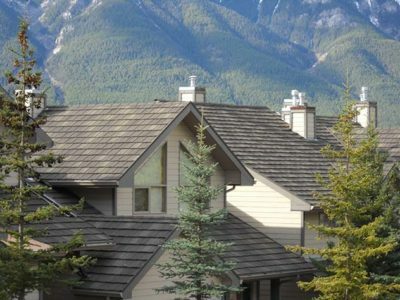 I purchased my first metal roof back in 2005, it was pricey at the time, however, I was looking at one less problem down the road and resale value of the home. The metal roof that I had chosen and installed , looked just like shingles , well built. Never had a problem with the way it looked . So, I sold that house, and we bought another home, which we were told at the time would need a new roof soon. So again we looked for a roofing company , as we were talking the roofer he indicated that we could do a standard roof with shingles for 8500. 00 or for an extra 5000.00, we could do a metal roof, which had many choices, and looks. So again, we chose the metal roof over the shingle roof, we enjoy it , the metal roof has saved us money in the long run on our energy bills. The “Curb Appeal” is awesome, it makes the house stand out. That’s awesome, Carl! Thanks for sharing. We installed a new metal roof on our home last year. We love it! One downside, our cellular service isn’t nearly as reliable as it was – the roof seems to block reception. I often times have to step outside to call or text. Hi, Pdx! The quality of cell phone service varies based on geographical location, building materials and other factors. NO mention of impossible and poor cell phone service…where’s that advise??? HUH ?? ?